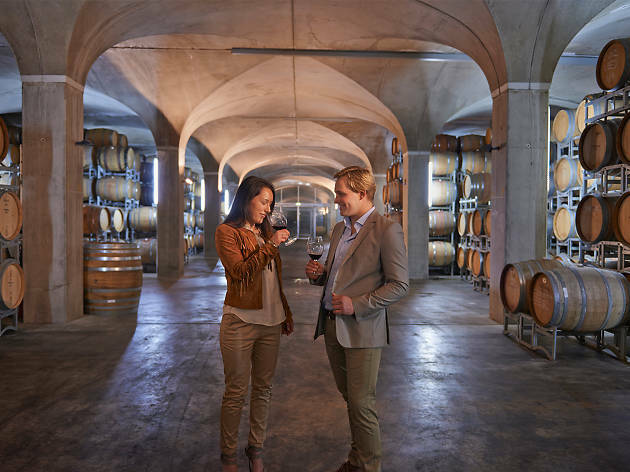 If you want to experience Yarra Valley's oldest wineries, head to Yering Station. The winery has been run since 1838 and is now a favourite with visitors to the wine region. Head into the cellar door housed in the original winery building. Wine tasting is complimentary for groups with less than 10 guests. Larger groups are required to make a booking. Yering Station's Reserve Shiraz Viognier is one of the finest examples of the blend to be produced in Australia. And if you don’t want to spend big on the top shelf bottle, pick-up a Yering Station Shiraz Viognier for $40. The Wine Bar restaurant is open daily from noon and is the perfect spot for a winery lunch with views of the Yarra Ranges. Head chef Maxime Croiset's menu skews French, and goes well with the range of Yering Station wines available in the restaurant.